I love going to the lake to see the ice forming on the water. There’s something about how the water methodically freezes over and cuts us off from the world below that creates an air of mystery. What is happening in this aquatic world we can no longer see? What I might love even more about this time of year is how my avian friends crowd together in the ever shrinking open water spaces. In these open areas you can see a variety of birds, but ducks in particular, visiting for the winter. A female bufflehead duck enjoys a swim. My favourite of these visitors is the cute and tiny bufflehead. The bufflehead is one of the smallest sea ducks to migrate from the far north to Lake Ontario for the winter. We often forget, as so many of our own birds head south for the winter, that Toronto is a migration endpoint for many northern birds. Compared to the Arctic Circle, the GTA is quite pleasant for a winter visit! From October until March you can see the buffleheads swimming in local bodies of water, diving to depths of up to 15 feet (5 metres). In freshwater habitats they primarily eat the larvae of the dragonfly, damselfly, midge, mayfly, caddisfly, as well as zooplankton, snails, and clams. When found in saltwater they feed mostly on crustaceans. While you can observe some ducks diving, surfacing, and then throwing their heads back and gulping down their food, buffleheads always eat underwater. The females of the species weigh around 340g and the drakes about 450g. During migration they usually put on an additional 100-115g of stored fat as fuel for their journey. The amazing colour on the drake starts with their pink feet to a snow-white belly to an amazing array of colours on the head. If you catch them with the right sunlight you see a variety of greens and purples across their oddly shaped head. Females are, like most ducks, a subdued gray-brown with a neat white patch on their cheeks. The females are quite a bit smaller than the male but, in my opinion, they are just as sassy. 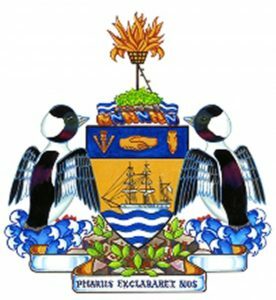 Random fact for the month: I discovered that the town of Sidney, B.C., uses two buffleheads on their coat of arms. As their website states: “The bufflehead ducks symbolize Sidney’s position by the sea….The bufflehead or ‘spirit duck’ was also selected for vivacity and boundless energy,” according to the town’s website, www.Sidney.ca. When taking photos of the ducks I stay back from the water’s edge and wait till they dive. I then move forward — but not too close — to where I think/hope they will come up. Sometimes I am lucky and get a great shot, and sometimes they go the other way! 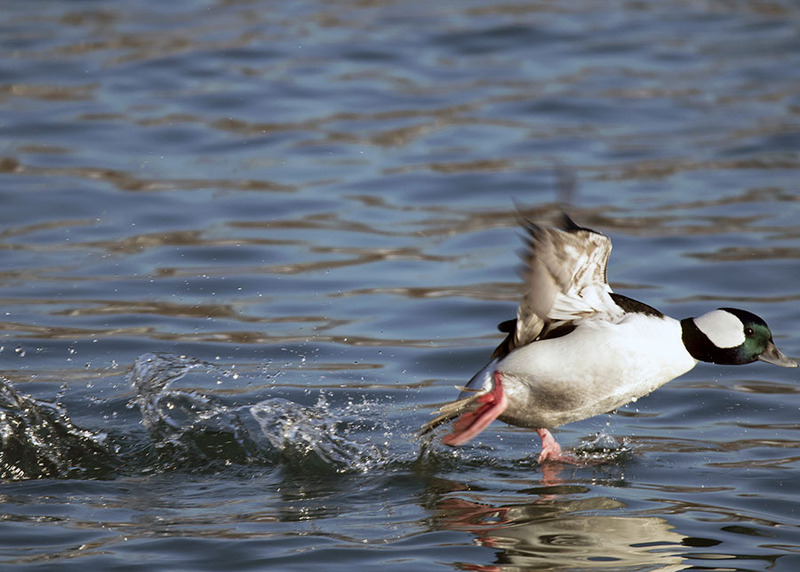 Luckily, with bufflehead ducks, you know they will dive back in a few minutes later and you can try your luck again. 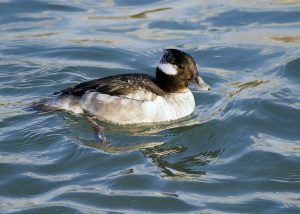 Some of my best bufflehead shots were taken at Ashbridge’s Bay. At the dock there is a nice bench where I can sit, drink my coffee, and enjoy the view. While the holidays are on take a walk to the beach to Ashbridge’s Bay and enjoy the beautiful ducks in the city. Ann Brokelman is an avid birder and nature photographer. Connect with her at www.naturephotosbyann.blogspot.ca.